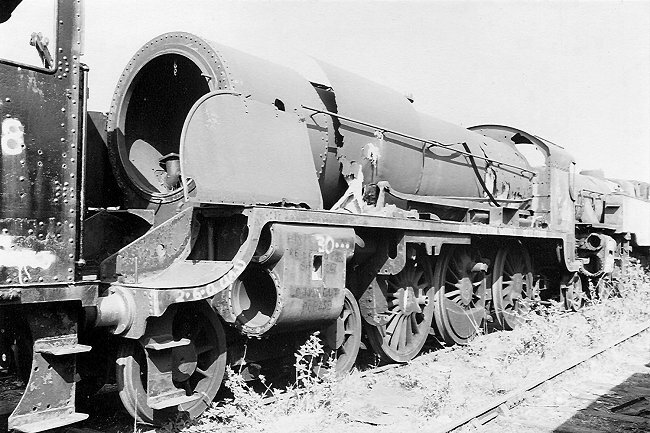 Ex-SR Urie Class S15 4-6-0 number 30830 languishing in Woodhams scrapyard at Barry 23rd April 1987. 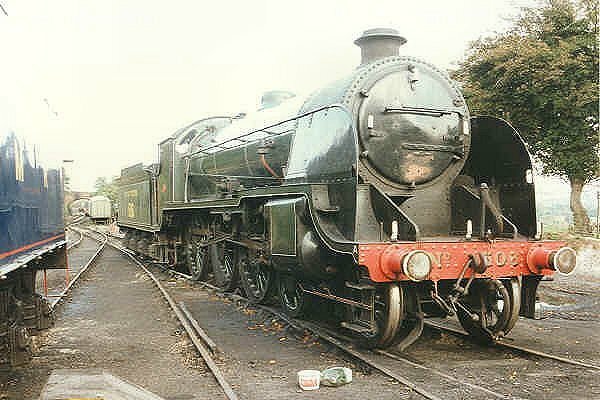 SR 506 at Ropley loco shed on the Mid-Hants Railway 18th October 1990. 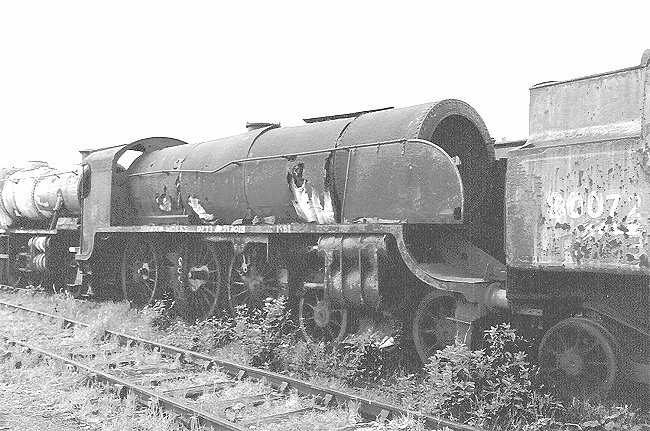 This steam loco was built at the SR's Eastleigh Works in 1920. 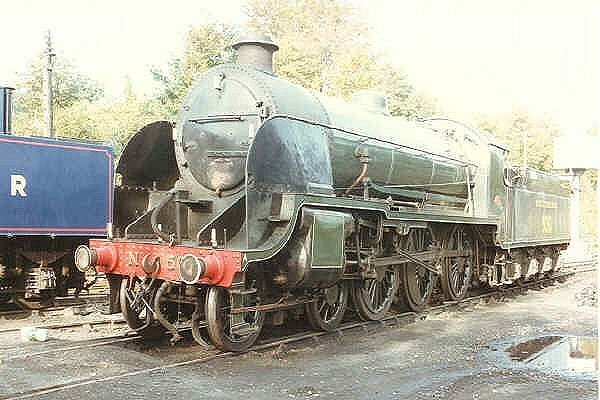 The grid reference for the loco shed at Ropley is SU 629324. 30830 in Woodhams scrapyard at Barry in 1986.